Σε απάντηση χθεσινών δημοσιευμάτων που αναφέρουν την Ελλάδα να βρίσκεται πέμπτη στην κατάταξη του δείκτη μιζέριας του Bloomberg παγκοσμίως, παραθέτουμε τα στοιχεία του ίδιου δείκτη για την Ελλάδα από το 2010 έως σήμερα. Παρατηρούμε ότι η υψηλότερη τιμή του δείκτη ήταν στις 04/11/12 στις 27,62 μονάδες και η χαμηλότερη τιμή σήμερα στις 18,94 μονάδες. Ο δείκτης αυτός δεν είναι τίποτα άλλο παρά το άθροισμα του πληθωρισμού και της εποχιακής προσαρμοσμένης ανεργίας της κάθε χώρας. Επισημαίνουμε ότι επί κυβέρνησης ΣΥΡΙΖΑ το ποσοστό ανεργίας έπεσε σχεδόν δέκα μονάδες και ο πληθωρισμός από -2,6% τον Δεκέμβριο 2014 είναι σήμερα στο 0,9%. Επίσης ο δείκτης φτώχειας από το υψηλό του 36% το 2014 έπεσε στο 34,8% το 2017 και βαίνει μειούμενος. Την επόμενη φορά που τα «φιλικά» προς την κυβέρνηση μέσα ενημέρωσης αναφέρουν κάποιο οικονομικό δείκτη για την Ελλάδα, ας είναι περισσότερο προσεκτικά. 17 Απρίλιου (ΑΠΕ-ΜΠΕ) — Αύξηση της μισθωτής απασχόλησης στον ιδιωτικό τομέα και τη δεύτερη υψηλότερη επίδοση από το 2001 έως σήμερα κατέγραψαν τα αποτελέσματα του πληροφοριακού συστήματος «ΕΡΓΑΝΗ» τον Μάρτιο του 2019, καθώς προκύπτει θετικό ισοζύγιο προσλήψεων–αποχωρήσεων κατά 43.373 θέσεις εργασίας. 17 Απρίλιου (ΑΠΕ-ΜΠΕ) — Η Ευρωπαϊκή Επιτροπή είναι ανοιχτή να συζητήσει για το αφορολόγητο, όπως συνέβη και με τη μη περικοπή των συντάξεων: αυτό επισημαίνει σε συνέντευξή του στο Euro2day.gr ο αντιπρόεδρος της Κομισιόν και υψηλόβαθμο στέλεχος του Ευρωπαϊκού Λαϊκού Κόμματος, Βάλντις Ντομπρόβσκις. 17 Απρίλιου (ΑΠΕ-ΜΠΕ) — Η γερμανική κυβέρνηση αναθεώρησε σήμερα πτωτικά την πρόβλεψή της για τον ρυθμό ανάπτυξης της οικονομίας το 2019 για δεύτερη φορά μέσα σε τρεις μήνες, αποτυπώνοντας την επιδείνωση της επιβράδυνσης στη μεγαλύτερη ευρωπαϊκή οικονομία που είναι αποτέλεσμα της ύφεσης στον μεταποιητικό τομέα. Το Βερολίνο αναμένει τώρα το ακαθάριστο εγχώριο προϊόν να αυξηθεί κατά 0,5% φέτος. Τον Ιανουάριο, η κυβέρνηση είχε αναθεωρήσει πτωτικά την πρόβλεψή της στο 1,0% από το 1,8% προηγουμένως. Για το 2020, η κυβέρνηση προβλέπει ανάκαμψη, με ρυθμό ανάπτυξης 1,5%. Ο υπουργός Οικονομίας Πέτερ Αλτμάιερ δήλωσε ότι οι εμπορικές διαμάχες και η αβεβαιότητα του Brexit ασκούν πιέσεις στη γερμανική οικονομία. Στους εγχώριους παράγοντες περιλαμβάνονται η εισαγωγή των νέων προτύπων για τις εκπομπές ρύπων (WLTP) και τα ασυνήθιστα χαμηλά επίπεδα των υδάτων στον Ρήνο, που έχουν προκαλέσει προβλήματα στην τροφοδοσία και την παραγωγή στον βιομηχανικό κλάδο. 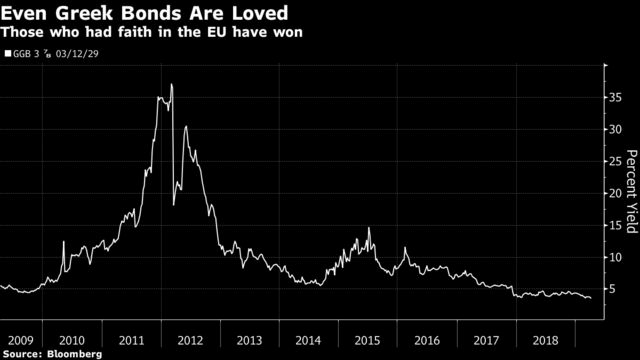 (Bloomberg) — Greece’s bonds are outpacing gains in euro-area debt, pushing benchmark yields close to a record low, in another sign of the nation’s recovery from the financial crisis. The debt climbed for 14 consecutive days through Monday, the longest streak since Bloomberg started compiling data, to send 10-year yields hovering above a 3.206 percent low touched in 2005. 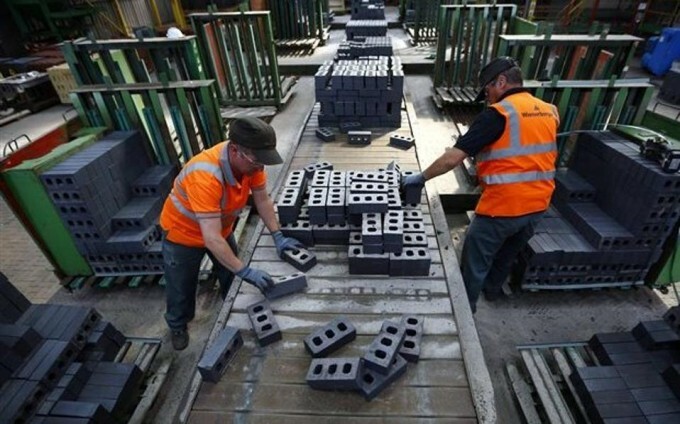 Investor sentiment has improved as the government plans to repay part of its loan from the International Monetary Fund early and has built up a cash buffer of 26 billion euros ($29.4 billion). Greece is still the euro-area’s most indebted nation and offers the region’s highest yields, attracting investor attention as a global bond rally this year has squashed returns elsewhere. The country’s growth and potential for rating upgrades is a turnaround following years of crisis and leaves markets concerned about debt in neighboring Italy instead. Greece’s 10-year yield edged up to 3.30 percent on Tuesday, having dropped 109 basis points this year, the most among developed nations according to datacompiled by Bloomberg. Its premium over Italian bonds has narrowed nearly 100 basis points this year, while the spread over Germany is at a 14-month low. The renewed hunt for yield in global bond markets has taken investors to historically turbulent waters. A rally in Greek debt, after euro-area finance ministers agreed to disburse more funds to the zone’s most indebted country, has seen 5-year bond yields fall below equivalent U.S. Treasuries. “Is there any more evidence needed of the madness now gripping the financial markets,” wrote Societe Generale SA strategist Albert Edwards in a note. Greek enterprises reported higher sales and a significant increase in profitability in 2017, while positive signs are also evident in 2018, ICAP said in a survey based on a sample of 13,154 enterprises. The survey said that accumulated turnover grew around 10 pct in 2017, while operating earnings rose around 17 pct compared with the previous year. Net pre-tax earnings totaled 4.67 billion euros in 2017, up 14 pct from 2016. ICAP said that 153 Greek-listed enterprises -excluding banks – recorded a 9.0 pct increase in turnover and a 25 pct rise in profits in the first half of 2018. Nikitas Konstantellos, chairman and CEO of ICAP Group, commenting on the survey said that “after a long-term recession period, the Greek economy recorded a slight recovery in 2017, with the country’s GDP growing by 1.5 pct compared with the previous year. It is encouraging the fact that this trend continued in 2018 at a slightly increased rate. This development will have a positive effect on Greek business activity”. Greece’s plans to repay part of its loans from the International Monetary Fund ahead of schedule may soon come to fruition, paving the way for the debt-stricken nation to claim it has taken another step toward economic normalcy. Early repayment of expensive IMF loans has been a longstanding ambition of the Greek government, as it seeks to bring down its debt refinancing costs. 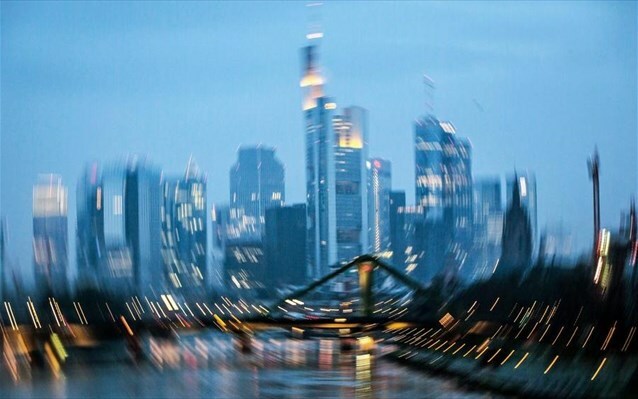 Talk of the plan comes as the country moved closer to fulfilling a first set of post-bailout commitments, which will likely allow for the disbursement of some 1 billion euros ($1.12 billion) in aid at a meeting of euro-area finance ministers on Friday. 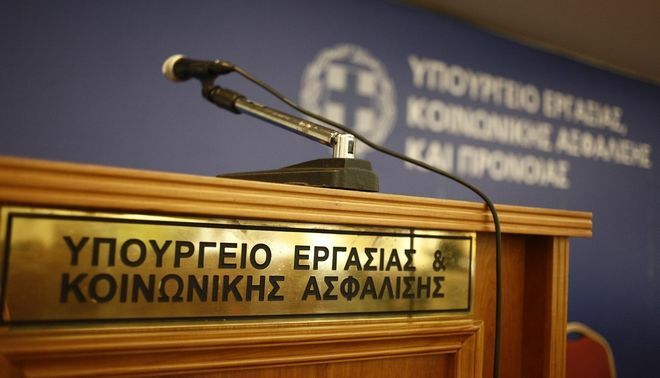 Prime Minister Alexis Tsipras’s government hasn’t so far submitted any formal request to the IMF to make an early repayment, but the government is exploring such a step, according to two Greek officials, who spoke on condition of anonymity as the plans are not yet final. Greece and its creditors struck a landmark deal last summer to ease the repayment terms for part of the nation’s mountain of debt, which nonetheless still stands at around 180 percent of its gross domestic product. 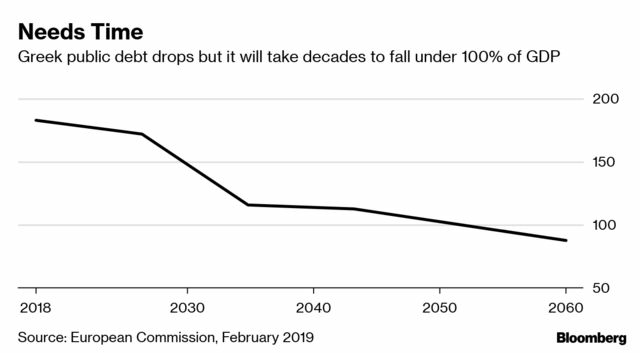 Repaying the IMF early would reduce Greece’s debt obligations for the coming years since part of these loans are more expensive than both the bailout funds it has received from the euro zone and even the country’s cost of new borrowing from the markets. The move could also help boost Tsipras’ political capital ahead of a general election this year, as it will add to signs that the economy is stronger and that the country can start weaning itself off its creditors. This will also allow the premier to claim he has reduced the IMF’s exposure to Greece and thus reduced the need for its oversight. The repayment will first require a green light from the euro area. That’s because, as creditors to Greece, other euro-area countries must waive their right to be paid back early by a proportional amount. This waiver has been granted in the past to former bailout countries such as Ireland and Portugal. EU officials say Greece hasn’t so far made any official request to repay the IMF early. But even if it does, it is not a given that the euro zone will be on board. That’s because some countries could be skeptical about whether the early repayment would be financially beneficial for Greece rather than just replacing official debt with still-pricey borrowing from the markets. As well as needing to show that the savings in debt servicing costs from this swap would be significant, Athens may also need to prove to its creditors that its plans for economic overhauls remain ambitious. 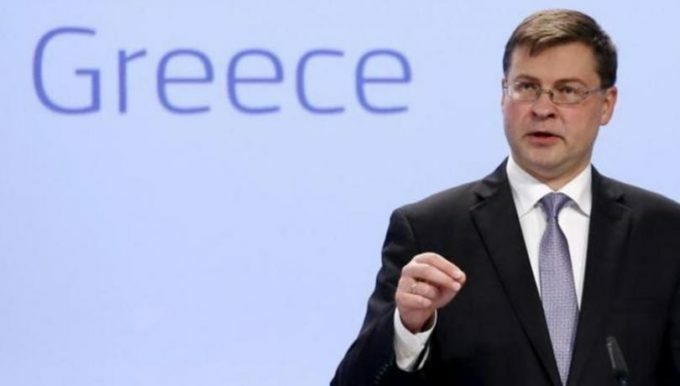 Countries such as Germany, which insisted on the IMF’s participation in the Greek rescue program, may hesitate to approve a step that will minimize the fund’s involvement, officials say. 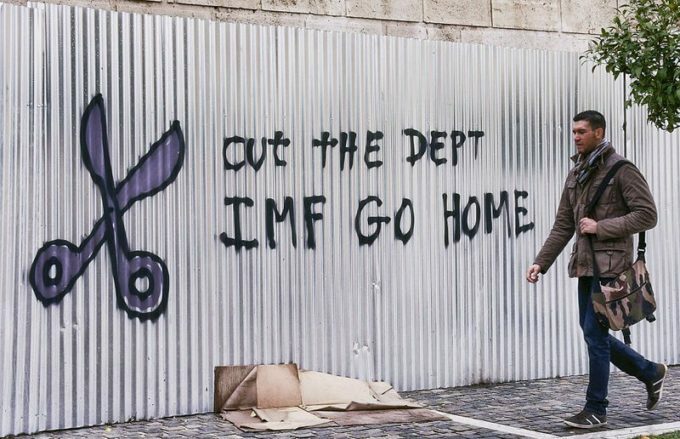 Such nations have in the past sought the IMF’s participation as a seal of credibility for the Greek bailout. What’s more, the government’s latest delays in fulfilling the conditions attached to its post-bailout review, including a prolonged spat over a household insolvency framework may spook creditors, who worry about its impact on the Greece’s troubled banks and fear it may be a harbinger of profligate behavior ahead of this year’s national elections.